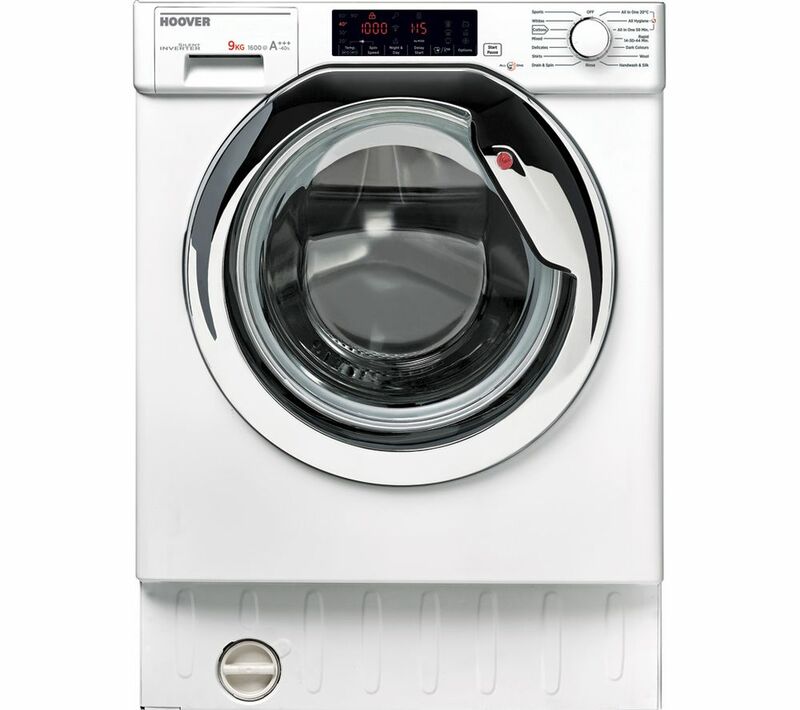 The Hoover HBWM 916TAHC-80 Integrated 9 kg 1600 Spin Washing Machine is great for washing large loads with a 9 kg capacity, which makes its suitable for family-sized washes. 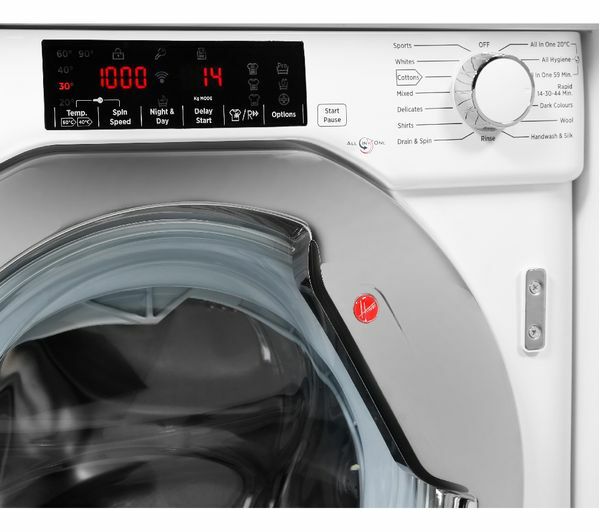 The All In One wash program lets you wash cottons, synthetics and mixed fabrics at just 20° C, so it saves more on energy compared to conventional 40° C washes. 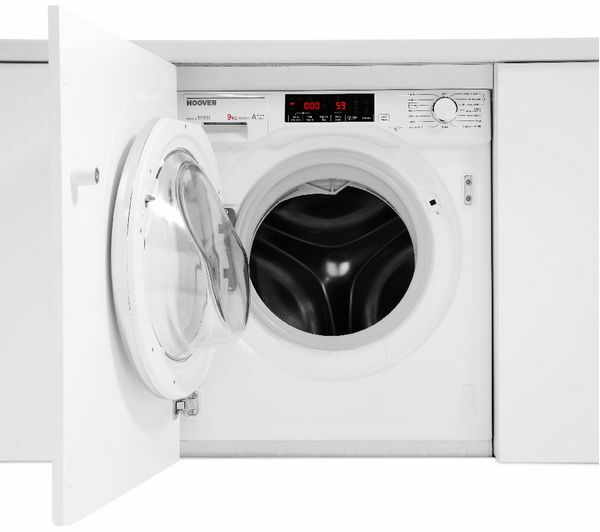 The All In One program also lets you safely mix a full load of colours and whites in a single wash in just under an hour. 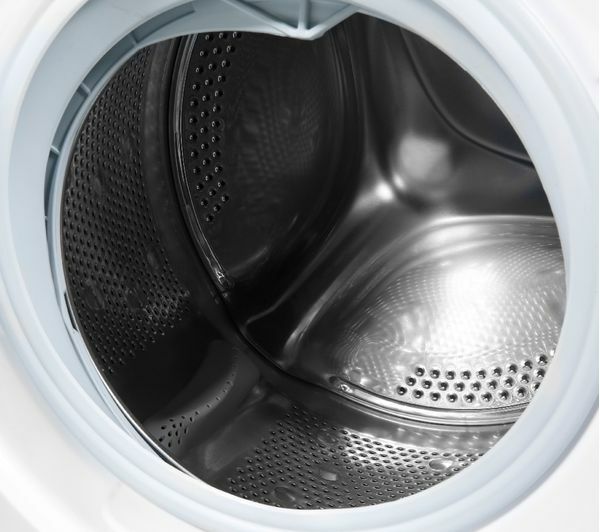 High pressure jets spray a mixture of water and detergent into the wash load to better penetrate the fibres of your clothes, and wash them more effectively. 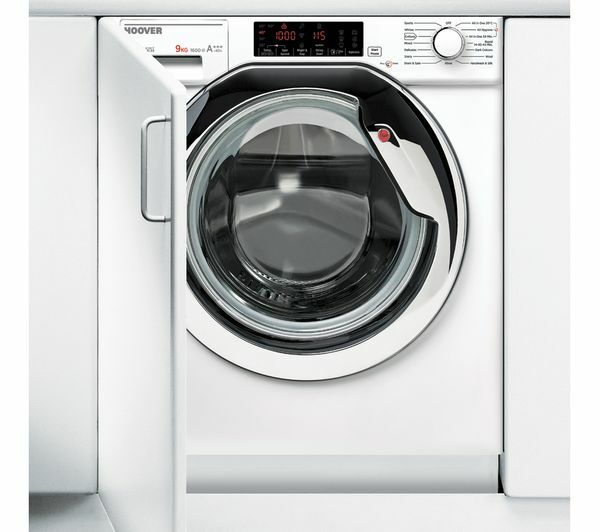 An All Hygiene wash programme ensures deeper cleaning to help alleviate allergies. 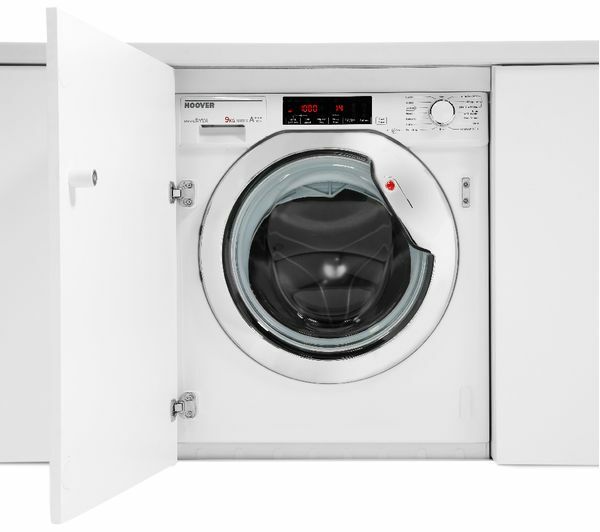 A wide porthole door mounted higher up makes it easier for you to load and unload your washing machine. 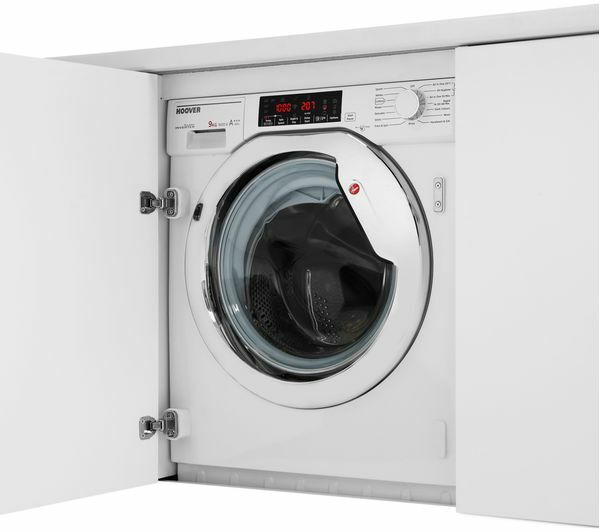 Get your washing jobs done faster with a range of rapid wash and dry cycles. The fastest cycle takes just 14 minutes, which is great for emergencies. 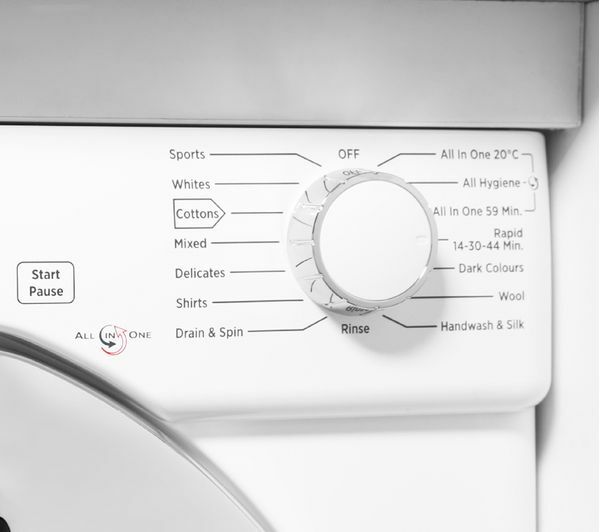 Or choose from 30 minute, 44 minute, or 59 minute wash cycles depending on how much time you have. The Easy Iron programme minimises creases as much as possible, so that once your clothes are dry, you'll spend less time ironing them.